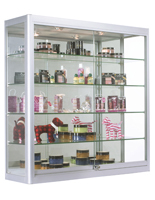 This wall retail cabinet is designed to present customers and visitors with high visibility merchandise, collectibles, or specialty displays. 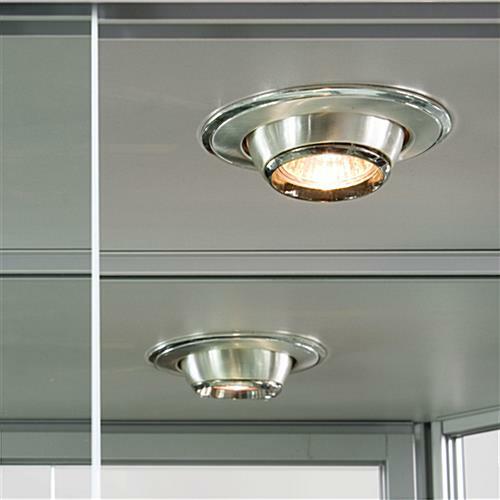 Each 39.5" wide fixture features silver finish aluminum framing and tempered glass construction for durability. 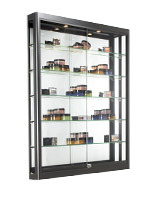 This wall-mount retail cabinet with built in illumination includes two built in top lights as well as 5 adjustable-height, impact resistant shelves. 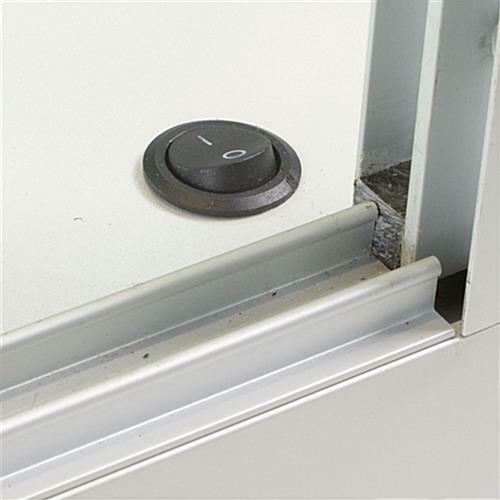 The sliding access doors keep contents secure behind a sturdy plunger lock, making this a great choice for high traffic areas. 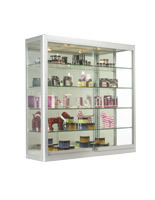 This space-saving illuminated tempered glass retail cabinet is a perfect solution for businesses, specialty boutiques, galleries, or commercial operations with limited floor space. 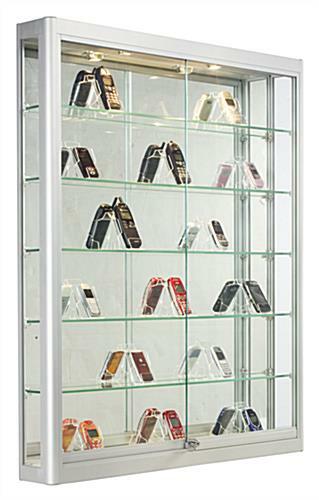 The clear, shatter resistant shelves offer adjustable height to accommodate merchandise, samples, valuable antiques or collectibles, as well as trophies or awards. 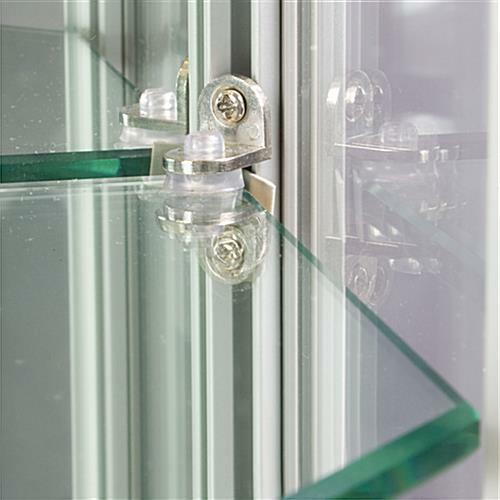 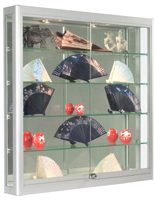 This high visibility display cabinet with locking access features a mirrored backer for maximum visibility of contents. 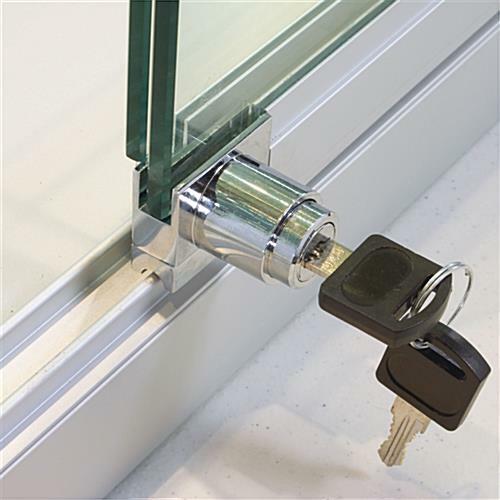 The sliding doors have a sturdy plunger lock that offers easy accessibility for authorized keyholders while protecting retail merchandise, gallery or trophy displays, samples, and collectibles from dust, damage, or theft. 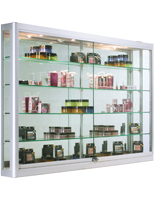 This commercial-quality cabinet with built in lighting and adjustable height shelves is designed to withstand daily use in high traffic public environments. 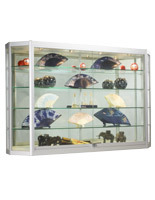 Each display fixture comes with two Z-bar mounts as well as all necessary installation hardware.